We all know from high school biology that mitochondria are the powerhouse of the cell. However, scientists may have discovered a way in which mitochondria are more important to our bodies than ever before thought. A new study sheds light on the two-way dynamic interactions between mitochondria and the nucleus. This new understanding of mitochondrial DNA power could lead to more efficient anti-aging treatments. There are way more mitochondria in your body than there are stars in the Milky Way. With a total of about 10 million billion units, mitochondria take up a substantial volume in the organic real-estate of the human body. We find mitochondria inside each and every cell at varying rates depending on the cell’s energy needs. For example, up to 25 percent of the cytoplasmic space within liver cells is made up of mitochondria (1-2k units per cell), and 40 percent in the case of heart cells (5k units per cell). At only about 0.5 to 10 micrometers in length, these tiny units nevertheless play a fundamental role in cellular energy processes. To cover their energy needs, cells draw nutrients (proteins, lipids, and sugars) from their environment. But it is thanks to the action of the mitochondria that these organic molecules are transformed into a usable form of energy, ATP (Adenosine TriphosPhate). However, the set of all the reactions and processes taking place within the mitochondria go well beyond the cellular energy metabolism. Thanks to it being the energy converter that enables cellular respiration, the mitochondrion earned the name of the “powerhouse of the cell”. A mitochondrion, however, can be considered as a cell within cell, as it has its own genome and proteome. Besides having their own proteins, mitochondria also possess their own DNA, known as mitochondrial DNA. Scientists knew for a long time that the nucleus’ genes encode proteins that regulate mitochondrial DNA and the whole genetic code within a cell. Now, new research from USC Leonard Davis School of Gerontology (L.A., California) shows there’s action in the other way too: mitochondrial genomes also regulates genes inside nuclei. USC researchers discovered a protein (Peptide MOTS-c) encoded by mitochondrial DNA that, when a cell is exposed to stress, enters into the nucleus to help it face the situation. As to how this newly-discovered mutual DNA action between the nuclei and the mitochondria inside the cell came to be, it’s all about evolution. “Mitochondria have their own DNA that presumably comes from ancient bacteria that joined our cells a long time ago. We didn’t know that our mitochondrial DNA encoded messages to control the nucleus. In fact, the nucleus has been long thought to hold all our genetic blueprint for building and operating a cell. This is a fundamental discovery that integrates our two genomes as a co-evolved genetic system and may have a lasting impact for a broad range of scientific and medical fields,” said USC’s Changhan David Lee, senior author of the study. Currently, the fight against aging and corollary diseases, like dementia and cancer, is centered around the nucleus genome based on previous knowledge about its actions. 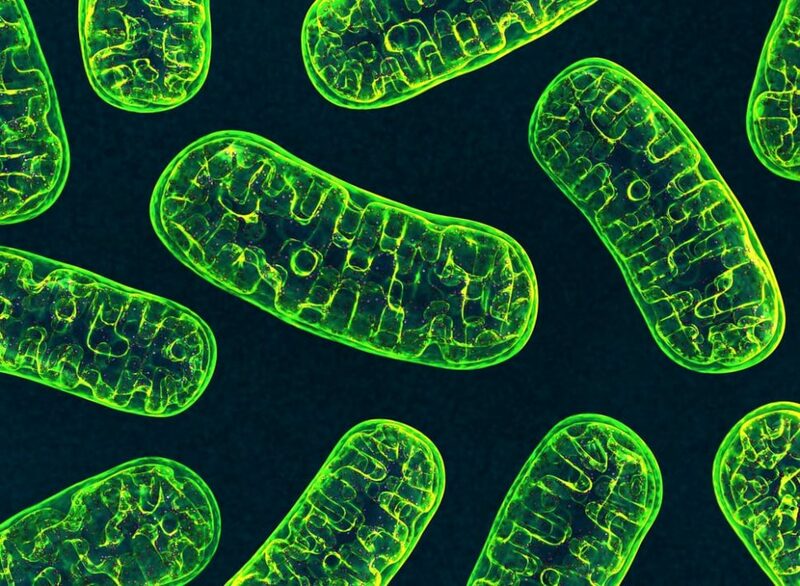 These new insights into the role of mitochondrial DNA will help scientists better understand the mechanisms that underlie and influence health throughout life and develop more effective anti-aging treatments. “We haven’t been looking at the full complexity of the cellular network. If we’re fighting cancer, for example, with only half of our genome, then it’s half of a solution. Now we can fight these diseases with all our genetic components,” said Lee. While gerontologists are looking for ways to halt or delay aging, there may come a time when diseases, aging, and death itself, will become a thing of the past. To the young and the young at heart, is longevity less scary than immortality?